NYO Inspire Ensembles are 3-day residencies in orchestral family groups – Strings, Winds, Brass and Percussion – that explore challenging repertoire and ensemble playing techniques. 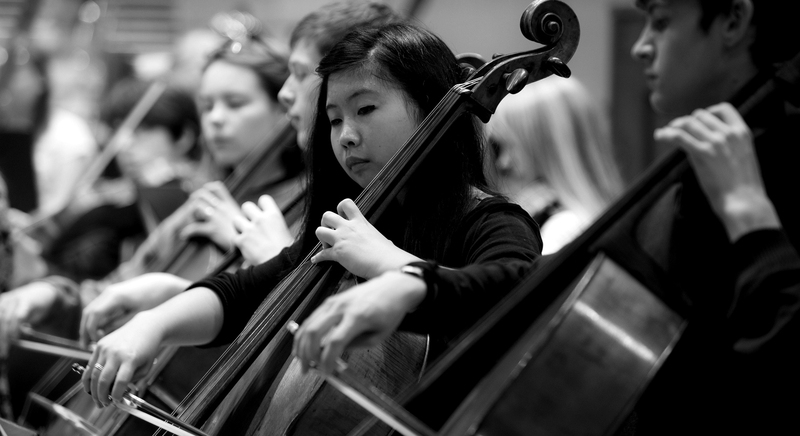 Devised and led by NYO Tutors, the project encompasses a wide range of playing techniques to develop your musicianship further. NYO Inspire Ensembles is specifically targeted to musicians who have limited orchestral opportunities to access further orchestral opportunities. We also target musicians who are underrepresented in NYO and the professional orchestra sector from state education and those from BAME backgrounds. Applications to take part in the NYO Inspire Ensembles are part of the annual recruitment drive which takes place from mid-September to October half term each year. Please contact inspire@nyo.org.uk if you have any questions. Having experienced NYO Inspire Ensembles, I knew the moment I replied YES to the invitation for NYO Inspire Orchestra, I would not be disappointed. It was something I was really looking forward to after finishing my GCSE exams. During my time in both NYO Inspire Ensembles and NYO Inspire Orchestra, I have learnt one of the most essential skills to have as musician – how to practice. I especially enjoyed the sessions provided by Max Baillie which simplified what practice is and how to combat any challenge that confronts us. NYO Cello Tutor Nicholas Trygstad provided countless advice, along with how to practice, and acknowledging that playing the cello was very much a physical activity. He covered the basics from learning how to sit and to have great posture, to becoming free and having the ability to move in a way that enhances your playing, making playing the cello an engaging and enjoyable experience. I loved the fact that it was perfectly normal on the NYO Inspire Orchestra residency to chant some Mahler during lunch. I also loved that I was able to bring chamber music and gather a group of musicians to sight read our way through it. I feel so lucky to have been given this opportunity. I have learnt so many new skills and made so many new friends. I particularly loved it when we went into schools and I was able to lead workshops and help younger students with their playing. This has not only helped improve my own playing but also my confidence! The most inspiring moment for me was realising that there are people better than me. It made me want to work harder and reach that level. This has been an unforgettable experience and it will be one that I will certainly look forward to in the future!